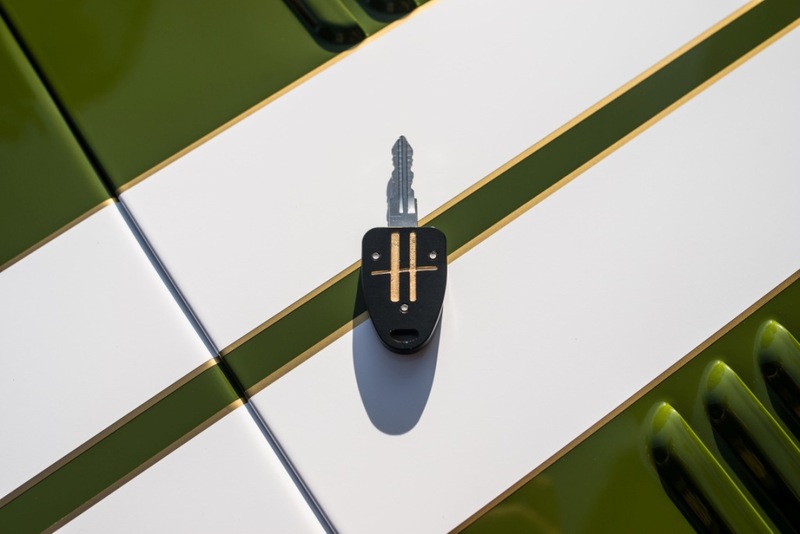 British car manufacturer Caterham has launched its first personalisation programme – Caterham Signature – with a special edition Seven designed by world-famous department store, Harrods. 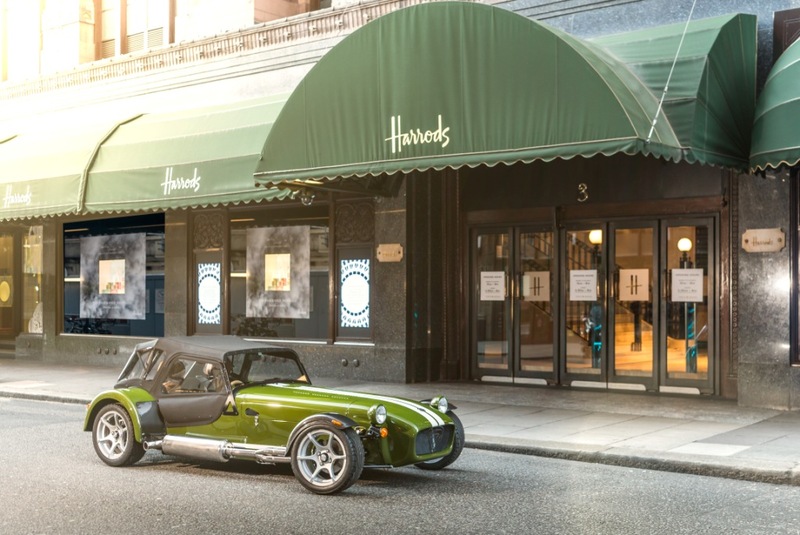 The Harrods special edition car is now on sale exclusively in store and includes a host of special features which demonstrate the breadth of options new Caterham buyers can add to their vehicles. 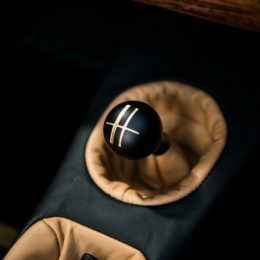 These include paint colours and designs, dashboard and interior styling, embroidery and even the colour of the chassis. 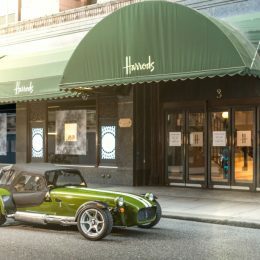 The £59,999 Harrods special edition is on display in the famous London store throughout October for Harrods Man month, starting from Friday October 7. 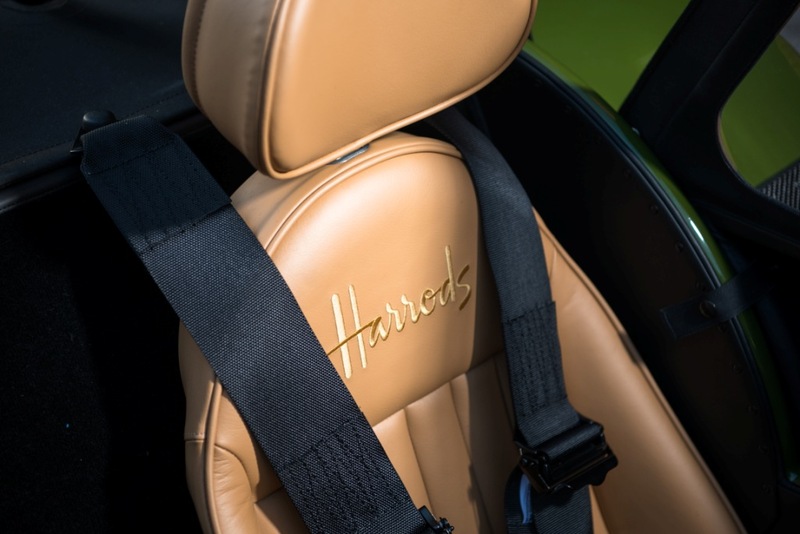 The special edition Harrods Seven – a 420S under the skin – is painted in Harrods green, with a custom white stripe and gold pinstripe while, beneath the bodywork, the chassis has been powder-coated in gold. 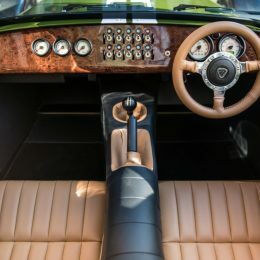 Inside the cockpit, the butterscotch leather upholstery also reflects Harrods’ colour scheme, while the store name is embroidered on the seat backs and the Harrods ‘H’ adorns the gear knob. 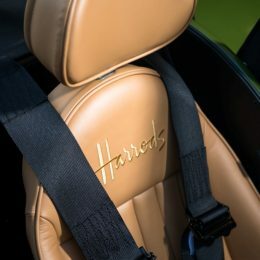 The car’s styling was created in conjunction with Harrods and its design team and buyers can pick one up in store along with their fashion and luxury items. 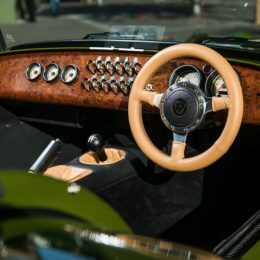 Caterham’s Chief Commercial Officer, David Ridley, said: “The Caterham Seven has always been one of the easiest cars on the road to personalise, because every car is hand-built and bespoke for each customer. 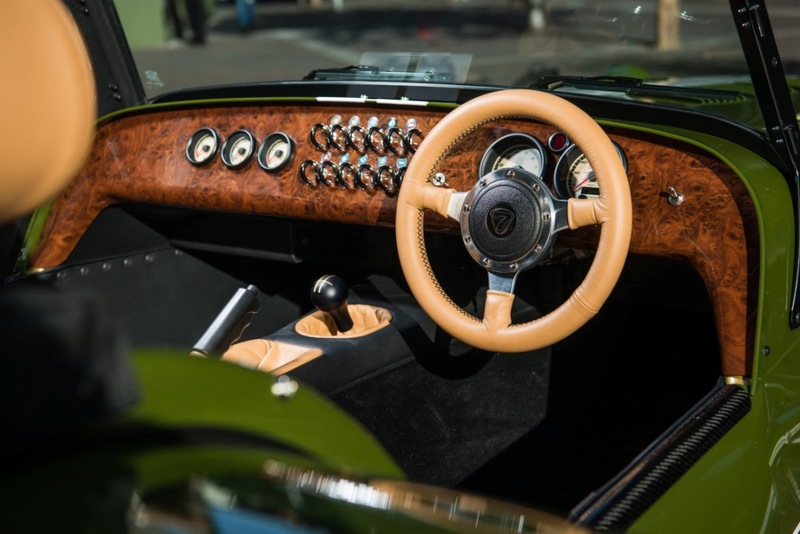 “But now we’ve formalised the personalisation options available to our customers into the Caterham Signature programme, which will outline the almost infinite combinations of options you can select. You can even have your name stitched into the seat. 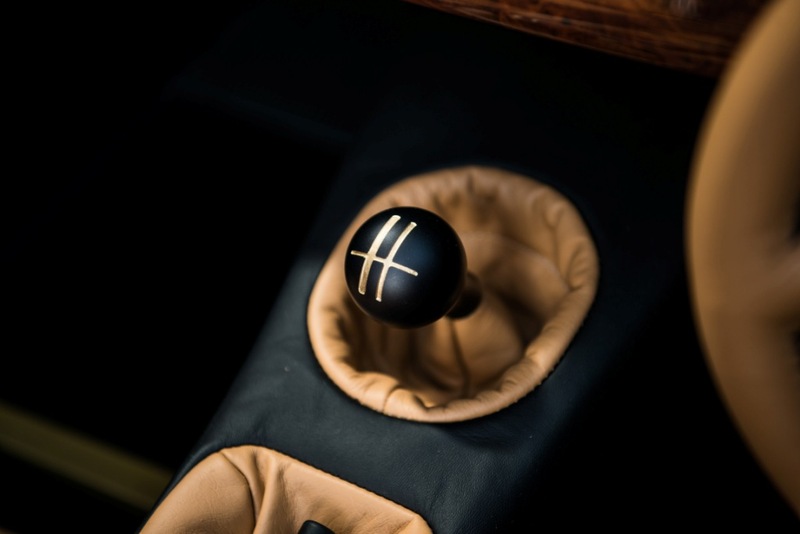 “A Caterham Seven isn’t a car you need to buy, it’s a car you buy because you want it. As such, we believe you should make it your own in every way. 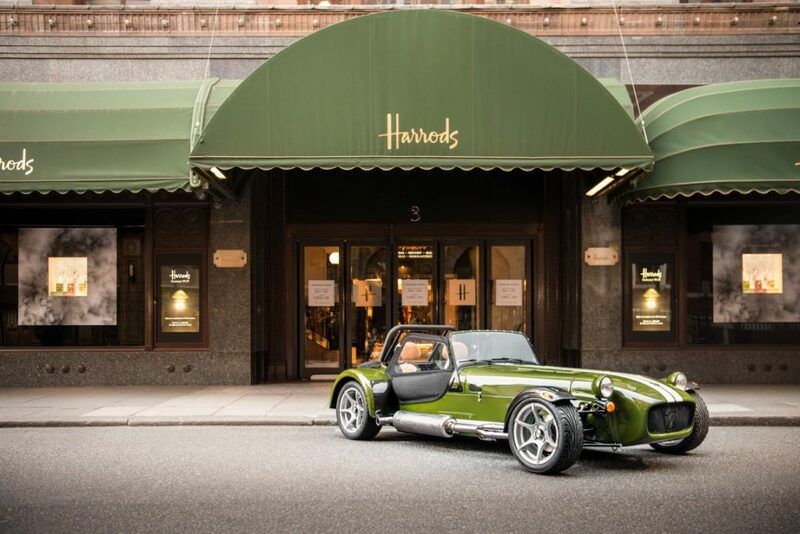 Guy Cheston, Media Director of Harrods, said: “Caterham is one of Great Britain’s most famous and instantly recognisable motoring brands and it has been a pleasure to partner with the team there to create this Harrods special edition of the legendary Seven. 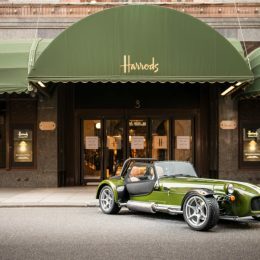 The Harrods Seven is on sale exclusively in the Knightsbridge store, while the Caterham Signature programme is available now to new customers looking to place their orders. 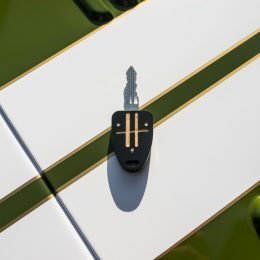 For more information on Caterham Signature, or to start pimping your Seven ride, please visit www.caterham.co.uk or call 01293 312300.